Google+ is a multilingual social networking service created in 2011. It currently has over 400 million registered users. Google+, said to be one of Facebook’s biggest rivals allows you to set up a company profile, connect with customers and your target market. It also gives you the option to share information with particular individuals in an application called Circles. For example, you could create a circle for the males in your target market, when a promotion for male watches becomes available, you can send a direct message to all the males in your circle. Google+ holds many benefits, it allows you to communicate on a higher and more personal level. It enables you to share and promote the services you have to offer. In addition it allows you to target specific messages to particular market groups guaranteeing the messages are being read by the right people. Business Information- about us, background information etc. Business Information – contact details, location, website links etc. Regularly updated photo albums with the latest services and promotions. 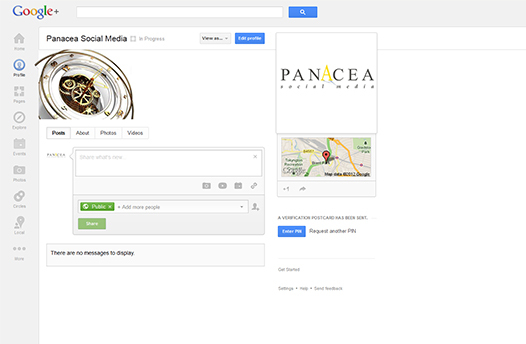 We manage the updates, analysis, monitoring and implementation of all Google+ activity so you don’t have to worry. We can measure how many individuals your messages and posts are reaching and even if the messages are being read by the correct target market.